The Golden State Manufactured Home Owners League (GSMOL) 2016 Convention will be held at the Ramada Inn in West Sacramento on April 8th, 9th and 10th. The statewide organization is a non-profit benevolent group for mobile home owners. 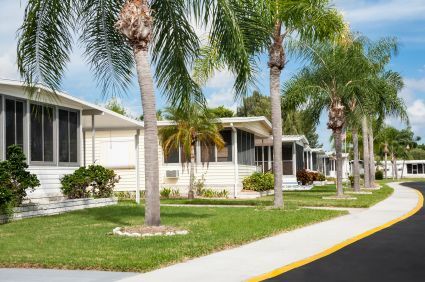 Through a system of chapters in California, it is able to educate owners on their civil rights and responsibilities relative to living in a mobile home park. During the convention, members will hold breakout sessions, panel discussion groups, and attend an Awards Banquet Saturday evening. Sessions include subjects concerning mobile home ownership, real estate sales and marketing, earthquake, and flood insurance, disaster preparedness, and evacuation planning. Attorneys will present programs based on legal issues. Keynote speaker for the Banquet will be Senator Joe Dunn, former head of the Senate Select Committee on Manufactured Homes. Mobile homes offer low-income seniors one of the last opportunities to live independently as the cost of other types of housing continues to escalate in California. They have the opportunity to have yards and gardens and to live in single unattached housing instead of small low cost apartments which may not coincide with their older years. GSMOL champions the property rights of homeowners and is an advocate for the members throughout California. GSMOL lobbies the legislature for fair and just protection under the law so owners can experience the quiet peaceful enjoyment of their mobile home communities. It strives to educate homeowners on their legal rights as renters of their mobile home spaces. GSMOL proposes legislation for the benefit of mobile home owners and attempts to defeat legislation that would diminish the health and lifestyle of park residents. The GSMOL corporate office is located in southern California, however there are hundreds of chapters located in northern California, on the coast, in the Sacramento area, in the Central Valley and in the foothills. Basic schedule is Friday April 8th from 10 a.m. to 9 p.m., Saturday April 9th from 8 a.m. to 9 p.m., and Sunday April 10th from 8 a.m. to 12 p.m. For a detailed schedule and more information visit www.gsmol.org/convention/ or visit the Ramada Hotel at 1250 Halyard Drive, West Sacramento, Cailf., or call the hotel at (916) 371-2100.